1. 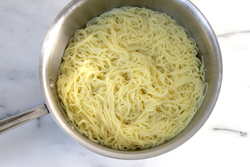 Cook the noodles according to their packaged instructions, rinse under cold water until the noodles are cool; set them aside. 2. Cut the steak into thin, 1/4-inch thick, bite-sized strips. In a large bowl, toss the beef with all of the marinade ingredients: sesame oil, brown sugar, soy sauce, rice wine, oyster sauce, hoisin sauce, and minced garlic. 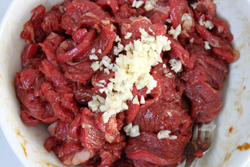 Let the beef marinate at room temperature while you prepare the remainder of the ingredients. 3. Prepare the sauce. 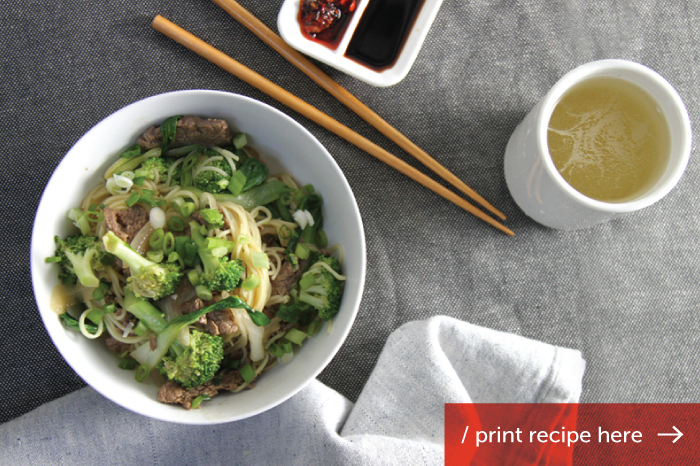 Combine the soy sauce, rice wine, oyster sauce, and hoisin sauce in a small bowl. Add the vegetable broth and set aside. 4. Prepare all of the vegetables. 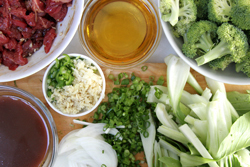 Get everything “mise en place” (translated to “put in place”) before your heating the wok. The cooking of this dish happens quickly, so preparation and handiness is key. 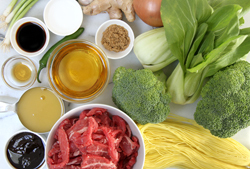 Place all of the ingredients (cooked noodles, prepared vegetables, and sauce) in small bowls nearby so that they are ready to quickly add to the wok at the right time. 5. Heat half (1/4 cup) of the peanut oil in the wok over high heat until it starts to begin to sizzle. 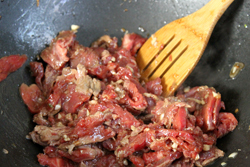 Add the marinated beef first, and cook until browned on all sides. 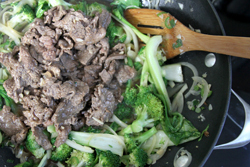 Remove the beef from the wok and transfer into a clean bowl; set aside. 6. Pour the remaining peanut oil (1/4 cup) into the wok and heat until it begins to sizzle. Add the onion and cook until softened. Stir in the Serrano pepper, ginger, and garlic and stir for 30 seconds. 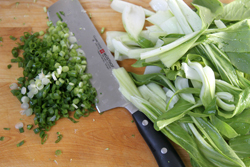 Add the sliced scallions and stir-fry for another 20 seconds. 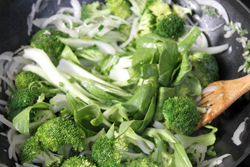 Add the broccoli and bok choy and stir-fry until bright green and just tender, about 3 minutes. 7. Add the sauce to the wok and stir together to coat all of the vegetables evenly. Add the cooked steak and noodles. Stir to combine all ingredients for another minute until hot. Serve immediately.